If you are in the printing solutions business, you must have realized the expectations of your target customers are changing. They aren’t satisfied with the assembly line design of printing products and want something that conforms to their interests and preferences rather than yours. You might have worked on the principle that you understand the needs and requirements of your target users best, but here’s the thing, there is no way in the world that you can understand their requirements better than they themselves can. In no universe is this possible. We know what you must be saying to yourself, “My product offerings are based on solid market research that gave me insights into what the user’s want?” But, the fact is this simply isn’t enough; because it still doesn’t make you assertive enough as far as offering your services and the market competition is concerned. Yes, you do some solid market driven research and utilize these findings to come up with products that you “think” your target users will love, but this doesn’t mean your printing services have become proactive. You still have to wait for your customer to get in touch with you, discuss the design of the product, the time frame within which you will deliver the printed product, the prices, etc. If you think about it, this is passive printing because you aren’t going all out to bring your printing services in front of the customer. Being assertive is about using the latest technology to improve your printing solutions and making them more customers friendly. It’s about leveraging the immense potential of new technology to improve customer services and engagement. With print technology evolving day-in and day-out, you can’t stick to the traditional means of selling your services; otherwise the world will pass you by. Your business model needs to evolve in-step with the evolution of printing technology and the time has come to take the bull by its horns. Web-to-Print is a revolutionary technology, not because it leverages the immense potential of the World Wide Web to offer personalized printing solutions, but because it has challenged the status quo that exists in the print industry vis-à-vis printing solutions providers and their target customers. 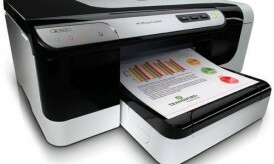 This technology has ensured people looking for printing solutions play a mission critical role in the printing process. You could say that this technology has put people in charge of their own printing needs and you won’t be wrong. 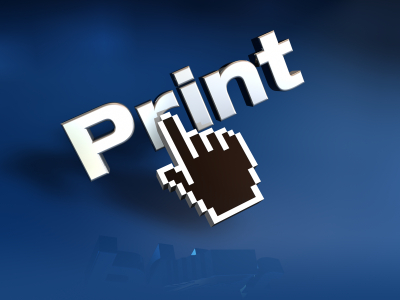 Web-to-Print has brought printing services closer to the people who wish to use them. Printing solutions don’t have to do anything radical to assertively promote their products and services. All they need to do, is implement web-to-print technology and they have taken the first step towards playing an assertive role in enhancing their printing services and towards making them more competitive and profitable. 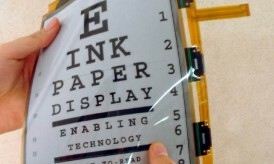 What web-to-print technology does is that it puts the spotlight on personalization. Say a user wants to print a business card. In order to print his business card, he first needs to design his card using the many templates available offered by the online business card builder implemented by the printing services provider on his site. Once the customer has personalized the design of his card, he needs to place an order for processing the printing of the business card and make an online payment for the same. In this scenario the ‘online business card builder’ is an example of a web-to-print enabled solution that allows the customer to become a part the printing process. As the printing services provider, you are playing a more assertive role in the printing process, by ensuring that the process is more customer oriented. Assertive in this case is about making the target customer an integral part of the process of printing. 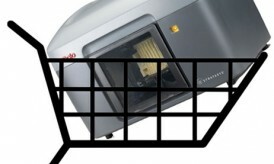 Does the Target Customer Really Want to Play an Active Role in the Printing Process? As a printer who wants to embrace new technology to improve business footprint, its your job to convince your target customer about the benefits of using an online design tool to create the design he wants to. You must let him know why embracing web-to-print technology makes as much sense for him as it does to you. You can’t ignore the fact that you needed a bit of convincing to implement this technology and therefore your target users need some persuasion as well. Think about it. Why would somebody leave the traditional method of client-printer communication and adopt a new methodology for getting hands on a printed product. They will do so, only if they are convinced about using this technology. This is again where your assertiveness must enter the picture. As a printer, you need to break out of your cocooned existence and make some changes to your time tested practices for marketing your business and its products and services. The first step is of course searching for and implementing a web-to-print solution for your business that is in perfect sync with your business’s objectives. Of course, if you don’t have a website, you need to build one for your business and then go about searching for a web-to-print solution. Or you could even get yourself a web-to-print storefront. Once you are done with picking the right solution, its time your advertised this solution to your target customers. Do not let things stagnate; if you are offering a new technology to your users, make sure they realize its benefits. Use a collection of online and offline marketing strategies to promote the new web-to-print technology you are using in your business and spread awareness amongst your customers about the importance of using such technology. If you don’t spread awareness about the technology you have up on your site, it won’t be able to grab the attention it needs, and there is very little chance of your earning high ROI from the use of such technology. One of the problems associated with the rise of any new technology like web-to-print is that businesses begin to believe that the use of technology alone will help them assert themselves in a highly competitive market. But this is incorrect. There is definitely no beating the advantages of using the latest technology, but you also need to back it up by getting rid of any lacunae that might impact the efficiency of the technology you have invested in. For e.g., investment in web-to-print also involves making improvements to the printing technology you are using. You might have to make investments in state-of-the-art printers (if you aren’t already using them) to offer the best print quality to customers using web-to-print technology. You need printing systems that can be integrated seamlessly with this technology so that it delivers the returns you are looking for. Something else that you need to work towards is seamless and speedy order processing and delivery. If your business cannot process the web-to-print orders along with your regular orders, you might not be able to leverage the immense potential of this technology. Also, if you cannot deliver the print orders within the designated time frame, you might actually lose out on customers owing to the bad reputation of your business as far as delivery is concerned. It’s important to understand that web-to-print technology is not an end in itself but a means to improve your business footprint by being more assertive about how you want to take your business forward. In the event that your web-to-print services take off, you will find that the process of client interaction vis-à-vis the design of the products will go down by a long way. What this essentially means is that by giving customers charge of their design and print process, you have more time on hand to develop and implement strategies for business growth. You can invest this time in revving up your sales figures. Yes, Web-to-Print will be a terrific idea for your print business, but its important that you implement it with your eyes open. Look around you at the various print businesses who have implemented this technology, and how they are benefiting from it. Identify the challenges they have faced and the problems they are facing and make sure you have a solution for them, before you actually go ahead and make use of this technology. By making sure you gather as much knowledge you can about this technology, you are essentially ensuring you don’t take a wrong step. After all, you are going to take a huge step in your business’s attempts to win over customers through the implementation of new technology and you don’t want it to go wrong. A wrong step can mean the difference between success and failure. This is Ekta Jain working with Design’N’Buy. She always test the products she write about and say All-In-One Product line is just awesome for both the end-user and the store owner in terms of business growth.